Supporters call the new assembly the vehicle needed to complete Hugo Chavez's socialist vision. CARACAS, Venezuela — Amid the blaring sounds of socialist anthems, hundreds of newly elected pro-government lawmakers triumphantly entered the Federal Legislative Palace on Friday, sending up victory whoops on a day critics called a death blow for democracy in Venezuela. Their entry into the neoclassical complex marked the inauguration of an all-powerful lawmaking body elected last Sunday in a vote that has been condemned internationally. 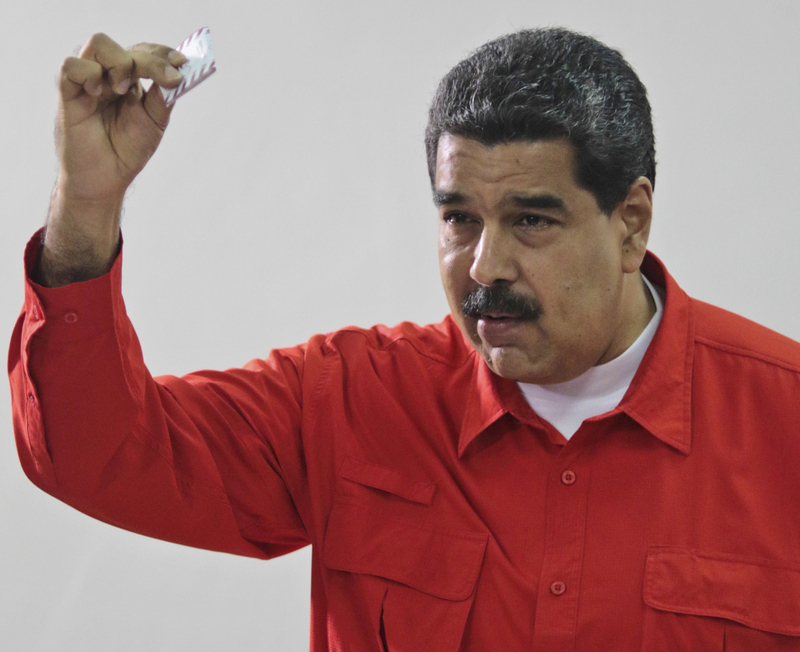 Opposition lawmakers elected in 2015 – and now shunted aside – decried the new body as a puppet congress installed by President Nicolás Maduro. As members of the new “Constituent Assembly” entered the building’s red-colored Elliptical Salon, they held high portraits of the late leader Hugo Chávez side by side with images of Maduro, his anointed successor. In a sign of Maduro’s tightening grip, one of his most loyal lieutenants, former foreign minister Delcy Eloina Rodriguez, was sworn in as the body’s new president. “President Nicolás Maduro Moros is made huge today,” she said, using Maduro’s full name. The 545-member assembly represents a sweeping shift in how the country will be run, with its supporters calling it the vehicle needed to complete Chavez’s socialist vision. It is vested with the authority to change the country’s constitution and overhaul laws. Only a few hundred people appeared to be joining an opposition march to protest the new assembly. 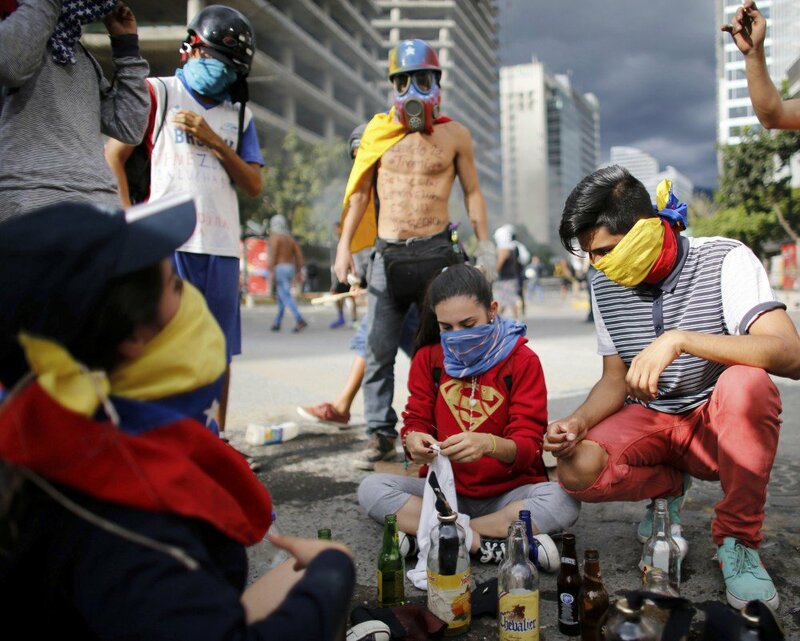 After four months of street protests against the authorities and the country’s economic collapse, government opponents seemed angry and exhausted, and struggling to find a path forward. About five minutes after one group of protesters began marching toward the legislative palace, security forces moved in on motorbikes, lobbing tear gas bombs and firing rubber bullets. Opposition legislators ran in all directions. At least one man’s face was hit with rubber bullets. Earlier, as protesters met to begin marching, some expressed their frustration to legislator Juan Requesens. “There are no people here, Juan,” complained one woman. Others critiqued the signs of division popping up among the opposition. Requesens said that opposition lawmakers were still in the dark about whether they would be allowed back into the legislature Monday. Even if they were, some said they would never sit in the same building as the new Constituent Assembly. A plan was emerging, he said, to potentially convene the lawmakers elected in 2015 somewhere else. As the new assembly was sworn in, international pressure on the government built. The Vatican joined a chorus of worldwide condemnation Friday against the constitution-writing body, and demanded the government not use excessive force against demonstrators. The nation’s economy, meanwhile, moved closer toward the abyss. In a nation where malnutrition is soaring amid food and medicine shortages, the near worthless currency, the bolívar, has entered free fall. The Venezuelan currency lost 45.3 percent of its value in one week, as the price of the dollar in the black market nearly doubled. Early Friday, Maduro’s government released one of two opposition leaders hauled to jail in predawn raids on Tuesday. Antonio Ledezma, a former Caracas mayor, was remanded to house arrest, according to his wife. But another opposition leader, Leopoldo López, remained in the infamous Ramo Verde prison.